Artisan, Isha Elafi, elevates the ancient art of micro-macramé to a new level. The influence of the various tribal cultures that she has visited throughout Asia and South America is easy to see. Each piece, impeccably stitched, expresses the passion and skill of a person who has spent her life trusting her intuition, perfecting her gifts and following her bliss. A spiritual nomad, with a deep love of travel and diverse cultures, Isha began creating micro-macramé in 1978 as a means to honor her passion. Creating necklaces, bracelets and earrings to sell in markets from Peru to India, Isha was able to combine travel and work, and all the while encounter cultures that inspired her designs, and materials to incorporate into her art. 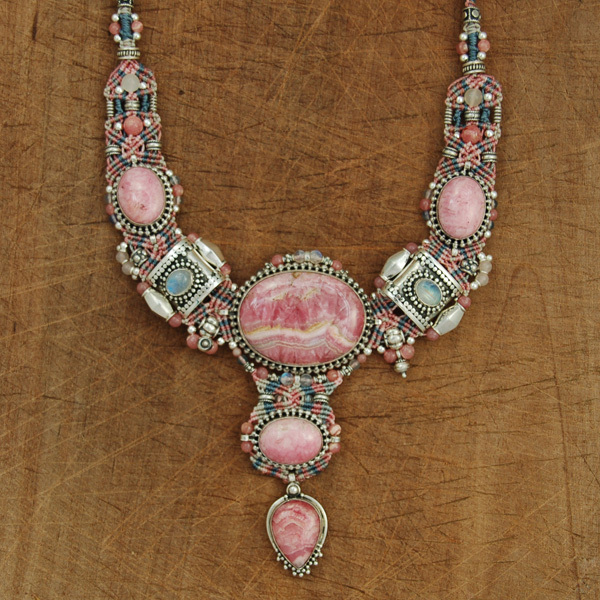 Isha named her distinctive jewelry Nomadic Knotwork. 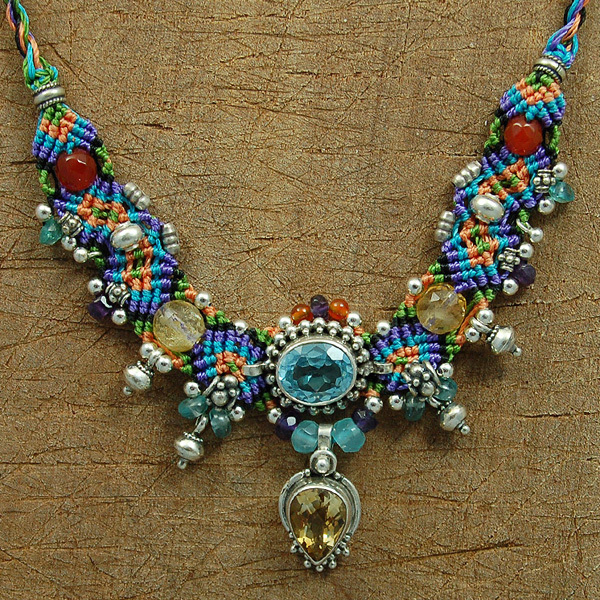 Combining intricate patterns of hand dyed durable nylon threads, beautiful semiprecious stones and silver, and an intuitive awareness of color, pattern and texture inspired by nature and native cultures, her gifts coalesce to form incredible pieces of wearable art. 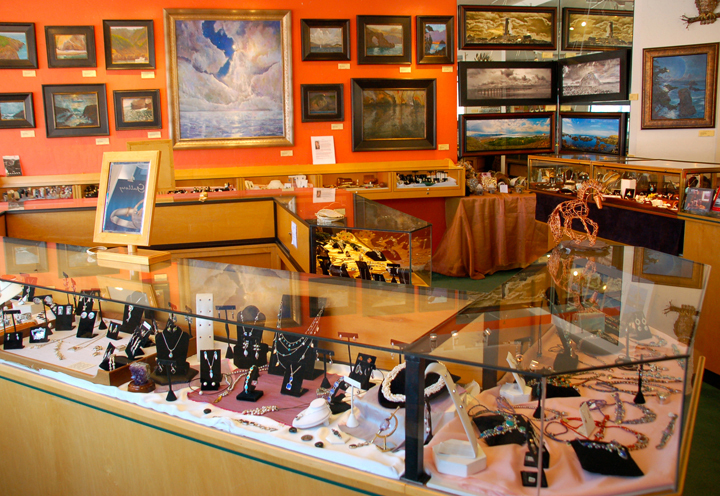 or in our store in Morro Bay, California. This entry was posted in The Artists, Uncategorized and tagged art, artisan, bracelet, earrings, gifts, Isha Elafi, jewelry, macrame, micro-macrame, Morro Bay, necklace, precious stones, silver on March 3, 2013 by SevenSistersGalleryCa.